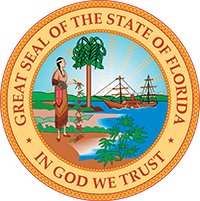 On March 29, 2019, Governor Ron DeSantis announced the appointment of Jessica Costello to the Hillsborough County Court. Costello, 34, originally from South Carolina, is an Assistant Statewide Prosecutor at the Florida Attorney General’s Office. She received her bachelor’s degree from the University of Florida and her law degree from the Florida State University College of Law. Costello fills the vacancy created by the elevation of Judge Lawrence Lefler to the Thirteenth Circuit Court.